Suzanne Ruart’s son Aiden spent three months in a neonatal unit as a result of being born three months early. A year after her son came home Suzanne realised she’d been suppressing symptoms of post-traumatic stress disorder (PTSD). “After the first time I saw him resuscitated I developed a crippling anxiety that every time I walked into the neonatal unit there would be bad news, and this anxiety has never really left me since. 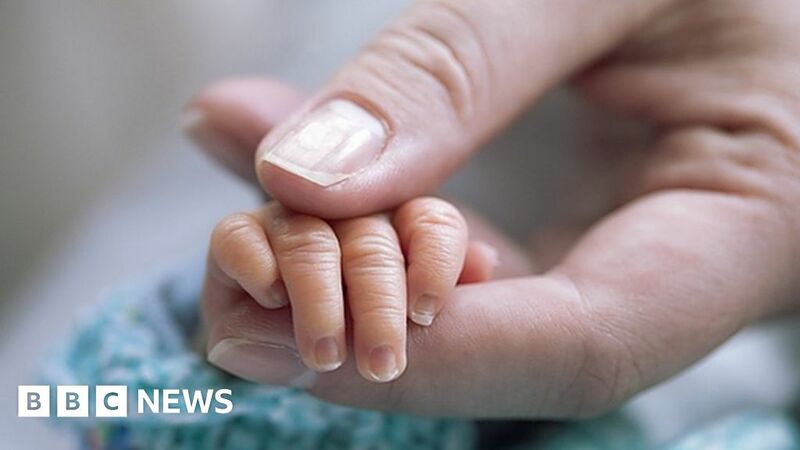 New research by the charity Bliss has found that 62% of parents of premature babies reported they had no access to formal psychological support, such as counselling or talking therapies, while their baby was on a neonatal unit. Of the survey of 589 parents, 16% of parents were diagnosed with PTSD after their time on the neonatal unit. More than a third said their mental health was “significantly worse” and just 8% felt they’d received the right amount of formal psychological support. Suzanne said she was told that Bliss offered counselling, but that during the first few days everything was a blur so she didn’t take up the offer. In the following months, she said that while watching her son having painful procedures she could “physically feel” what he was going through. “I would have done anything to take the pain instead of Aiden but you just have to stand by and watch. “Then there is the heartbreak of seeing parents whose babies are not doing as well as yours. The awe of watching the doctors and nurses fight for a little life is inspiring but you see the broken-hearted parents being assisted out of the ward and your heart breaks for them. Bliss says all parents on neonatal units should have access to psychological and social support, including a trained counsellor. The survey also found that 45% of parents said they had no access to formal psychological support when they needed it after leaving the neonatal unit. “On the day I left the neonatal unit to take Aiden home, I cried like I have never cried before,” says Suzanne. “Some of it was tears of joy to be taking him to where he belonged – albeit on oxygen and a list of drugs – but mostly it was because I didn’t want to leave my neonatal unit family who had supported me so amazingly. “I was also scared about taking the baton of care over from them. How would I cope when things went wrong and would I be strong enough to do it alone? She said it was “terrifying” and “very isolating” as you are confined to your home, keeping your baby away from germs and you can’t go out to baby groups. She thinks it needs to be made clearer to parents of premature babies that they are at risk of PTSD, and that it is normal to feel overwhelmed by the experience. “Once I realised that, I knew I had to do something so I looked for advice online and I faced into the memories I’d been suppressing.